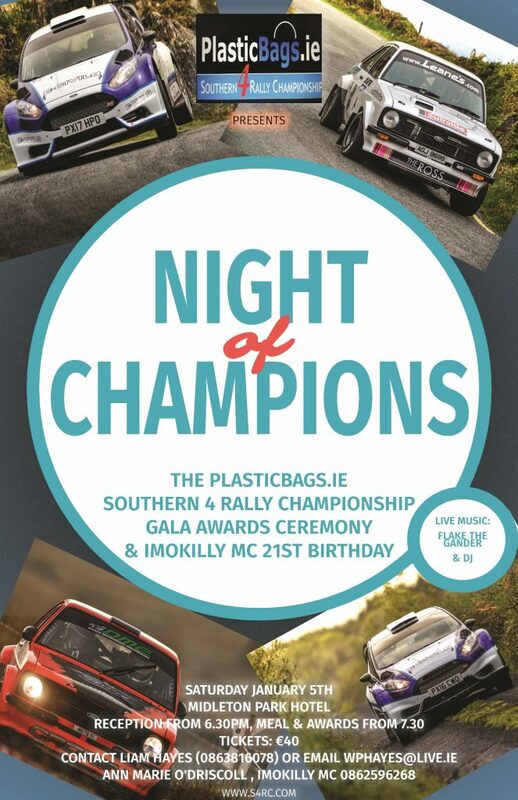 This year, the Cork 20, was again a counting round of the Plasticbags.ie Southern 4 Rally Championship 2018. Congratulations to the 2018 Champions – Martyn & Dawn England who travelled over from the UK to compete in the championship, and also finished 3rd in the Cork 20 National event! The awards night for the championship is on Saturday 5th January 2019 in the Midleton Park Hotel.